Summary of today’s show: More than 500 Boston pilgrims have traveled to Washington, DC, for the 39th annual March for Life today. 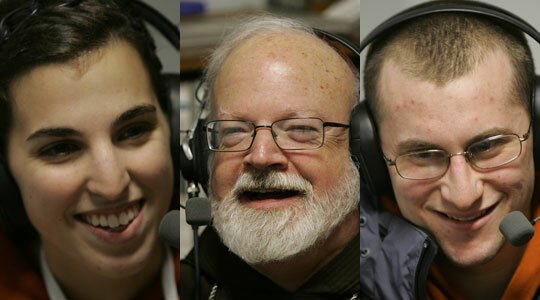 On today’s show, Scot Landry was joined by Fr. Matt Williams, Sr. Olga Yaqob, and a number of pilgrims, including Cardinal Seán O’Malley to talk about their experiences so far and what they expect to see when they began marching this afternoon. You will be inspired and energized by the joy and hope in the youth who join us on air today. 1st segment: Scot said we are recording this around lunchtime with pilgrims at the March for Life in Washington, DC. Scot welcomed Sr. Olga and Fr. Matt Williams. Fr. Matt’s office at Office for the New Evangelization of Youth and Young Adults organized this pilgrimage. Fr. Matt said it has gone remarkably well. They tell the pilgrims that this is a pilgrimage, not a vacation, and we never complain about anything on a pilgrimage. The nature of pilgrimage is God calling you out of your home to a place for a specific purpose, in this case to bear witness to the gift of human life. When you’re on pilgrimage, you’re called to a deeper life of prayer, charity, and sacrifice. There will be moments of inconvenience, including buses breaking down, snow delaying trips, video equipment breaking down. But it teaches that sacrifice and suffering has an intrinsic value and part of life is suffering. He said it’s been wonderful with lots of opportunity to offer up. Scot said there are 500 young people on three tracks: Middle School, High School and Young Adults. Sr. Olga said she and her community are traveling with the young adults, including 25 from Boston University, but also from many different parishes and professional careers. Scot said this morning the pilgrims had Mass this morning with Cardinal Seán at the Shrine of the Sacred Heart, where the cardinal served when he was first ordained. Fr. Matt said after lunch they will travel to the March where they will walk to the Supreme Court, where they will break down into small groups to pray the Divine Mercy chaplet for our country, asking for God’s mercy on our country for not valuing human life and for ourselves for the times we have not spoken out. From there, the middle schoolers will go back to the hotel for dinner and a youth night. The high schoolers will go to a nearby parish in Landover, Maryland, for a pizza gathering (There’s about 350 of them), and then a talk, group processing, and Eucharistic adoration and confession. In their experience, this adoration is the most powerful event of the whole weekend, because they have put their faith into action and seen the body of Christ together and are now praying. The young adults will be getting on buses back to Boston. On Tuesday, the youth will gather with Cardinal Seán for Mass. Sr. Olga said the highlight of her trip so far was the National Prayer Vigil for Life at the National Basilica of the Immaculate Conception last night. Just the opening procession was 45 minutes long with all the seminarians, priests, bishops, and cardinals. The young adults were amazed by the youthfulness of our Church and the strength of the Church in America. To see hundreds of young seminarians was inspiring to see that side of the Church. There were thousands of young people sitting everywhere, including on the floor and all the way out the doors into the rain, without any complaining. Sr. Olga said on Saturday, in the snow, it took them 7 hours to get the New York but there were no complaints. Scot said last night more than 22,000 crowded into the upper and lower church of the Basilica. 2nd segment: Joining us are Kevin O’lette and Darcie Guilbert. Kevin belongs to St. Clements’ Young Adult Group. He said the group is called Pure in Heart, which meets for Mass and rosary and a talk every Thursday night, focused on chastity, sanctity of human life and Theology of the Body. Darcie is a member of St. Mary of the Angels Parish. She said the Mass last night was incredible. They had to get there 4 hours ahead of time and even then they did not get a pew to sit in. She repeated that the procession was incredible and as happy as the pilgrims were to see them, you could see the joy in their faces at the immense crowd. She said it’s the face of the Church, the hope of the Church. They are John Paul II’s generation, a generation of peace and hope, coming back to the Church with joy. Fr. Matt asked Darcie what message seeing all those seminarians and priests gives to the young people? She said it confronts the young people with the whether God is calling them to a vocation to the priesthood or religious life. Fr. Matt said seeing all those seminarians shows how God calls all kinds of men to the priesthood, a cross-section of our society, a bunch of normal men. Sr. Olga said it was beautiful to see the Cardinal Seán saying he was impressed by so many young people, including parents with families, including small children and babies. She said it is a witness to life. Scot said both Pope John Paul II and Pope Benedict said at World Youth Days that the young are not just the future of the Church, they are the present. Scot said Kevin attended a different Mass last night in the Diocese of Arlington, Va., which included music by Bob Rice and Matt Maher. Kevin said he was struck by how prayerful the huge crowd at the rally was. It was a time for prayer. Hearing them pray drew them deeper into the March for Life and thinking of the weekend not as the pilgrims doing something for the cause, but that God is doing something through them. Scot asked Darcie what sights and sounds have surprised her so far. She has been amazed at the numbers of buses and how far people have traveled: Texas, South Carolina and further. She said the Basilica was beautiful, being her first time there. Kevin said he didn’t know what to expect from the March for Life, although the pro-life cause has been important to him. He’s loved getting to know more young adults in the Archdiocese who share his beliefs and who he can be himself with, sharing what’s been most important to him in his life. 3rd segment: Joining us now is Amy Ashur, a senior at Boston University, who is a leader of the pro-life group at the school. Amy said BU is a secular university and their pro-life group is secular, although most of the students are Catholic. They have a Planned Parenthood clinic right in the middle of their urban campus, so on Saturdays many of them pray in front of the clinic. They also raise money through fundraisers for pro-life charities. Scot said this is Amy’s fourth March for Life. He asked her how her appreciation for the March has grown each year. She said her first year on the March, she didn’t know much about the pro-life movement, so her first exposure to the March was mostly about the size of the movement, and in subsequent years, her understanding of the message has been the real growth for her. Scot asked Amy what she told her fellow BU students to prepare them. She said it’s a hard sell to her students because they are missing the first Monday of classes, so it is a real sacrifice to stand up for life. Fr. Matt said it’s clear that abortion is a sensitive and volatile issue in society. He asked Amy what it’s like to be a leader in the pro-life movement on campus and what motivates her to persevere? Amy said she comes from a Catholic family and went to Catholic schools so being at BU was the first real challenge to her faith. An awakening occurred the first time she wore a pro-life shirt to class and realized people were actually glaring at her. Now she’s sees it as an opportunity to have a conversation with others, to educate them about abortion, giving them information they may have never heard. Sr. Olga said BU Right to Life provides resources and help for teenagers in crisis. She said there are girls on campus who choose abortion because they have no other option, so they want to provide that option. They organize baby showers for the young women to show that there are people who love them and support them. Sr. Olga said the Gospel for the Mass was the Good Samaritan reading and Cardinal Sean said pro-lifers must have courage and love like the Good Samaritan. She sees that in students like Amy who are witnesses for life on those college campuses, especially secular campuses. She gives credit to students who come from every campus around the country. 4th segment: Joining us now is Isabella Bushko from St. Mary in Holliston and Jane Richard, a sponsor from the Presentation of Mary Academy. Scot asked Jane about the pilgrims from the school. She said they have 29 students, juniors and seniors. It’s been a great experience, especially last night with Matt Maher and she said the fruit spills over to her youth ministry work back home. Scot asked Isabella about her experience. She said the bus ride was very long, but they prayed the whole time. She came on the March for Life because many of her friends back home are all pro-choice, even the Christian ones. Not being able to vote to change society, this is her way to accomplish something. Scot asked Jane about recruiting students to come on the pilgrimage. She said the seniors who came last year talk it up a lot and so they do most of the recruiting. Isabella said her favorite part of the March for Life so far has been the Masses, including the priests and Cardinal and the music. The Cardinal brought a good connection between the Gospel and the March. Jane said her highlights for the pilgrimage is always the Masses. ALso the sincerity, joy, and depth of spirituality with the all the priests and seminarians, plus the camaraderie feeling like a big archdiocesan family. Fr. Matt said last night in Arlington diocese, Bishop Loverde couldn’t be there because he’s in Rome, but there were 3,500 young people there. One of the Bishop Loverde’s priests did the homily and spoke about hope and how the young people bring hope. He talked about how the Berlin Wall came down in his lifetime and yet 10 years before that it would have been inconceivable that the wall would come down so soon. He said when Pope John Paul II went to Poland he brought them hope and inspired them, which ultimately led to the fall of Communism in eastern Europe. Fr. Matt asked Isabella what she will take away from the weekend that stresses the virtue of hope. She said will take away the respect of life with her, because so often there is so little respect for life among her peers. Sr. Olga asked Isabella how she feels coming and seeing 350 high schoolers from her own archdiocese with her. Isabella said it gives her hope and she doesn’t feel alone. It’s empowering. 5th segment: Joining us now is William Martell on the middle school track. He said is having a lot of fun. He is in eighth grade and attends Msgr. Haddad Middle School in Needham. He said this is the second March for Life, two years ago. William said the concert last night with Matt Maher and the Mass and adoration were the best part of the pilgrimage so far. Scot asked him what it’s like to see the young adults and college students there. It’s makes him feel better to see all the people just a few years older than him who believe the same thing. He said yesterday they took a tour of some of the sights in Washington, DC, including the monuments and memorials on the Mall. They also took a tour of the Basilica. He said when they were there, it was almost full already. All the Boston pilgrims are wearing the same sweatshirts and they had a lot of people cheer them. Scot welcomed Cardinal Seán to the show. He has a perfect attendance at the March for Life over 39 years. He asked him why it’s important for him to go every year. Cardinal Seán said as American Catholics we have an obligation to help undo that tragic decision 39 years ago and one of the ways is to come to the seat of government and witness to the Gospel of Life. He’s encouraged to see more young people every year and they aren’t going away. They will keep coming until children are protected under the law. Scot asked how the March is different. Cardinal Seán said in the beginning it was virtually a Catholic event and over the years more and more people of goodwill from other faith traditions have joined. The number of young people has grown and grown as well. Cardinal Seán said in his homily this morning that he spoke about the Good Samaritan and how difficult it is to stand up for life. They are there to make God’s love and mercy present and listen to the silent scream of that unborn child, like the man half-dead on the road to Jericho. A lot of people don’t want to see. The Good Samaritan saw and was moved to see, so we have to see and have God’s love and pity in our hearts. Scot said it takes courage to be the Good Samaritan and to be a witness to life. Cardinal Seán said the Good Samaritan could have been accused of being the thief, but overcame that fear for his own safety because of his desire to serve. In a world where political correctness doesn’t tolerate being pro-life, we will be criticized and pilloried and so it takes courage to stand up to that criticism. Coming to Washington and being with hundreds of thousands who share the conviction that every human being is precious in God’s eyes. Cardinal Seán said St. Paul was converted and repented of his previous hardness of heart and became an apostle who lays down his life in his witness to the faith. He said Dr. Bernard Nathanson who was a prolific abortionist heard the silent scream and converted to pro-life and the Catholic faith. Scot thanked Cardinal Seán for joining us today.